The Florida Aquarium discounts - Hotels Etc. Learn about the animals in Shark Bay from the window of the S.S. Tampa. 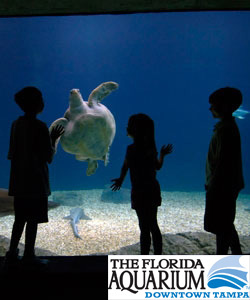 The Florida Aquarium Hours: 9:30 AM to 5:00 PM daily.